The newest addition announced at Pinewood Forest in Fayetteville is a nearly 53,000 sq. ft. mixed-use building on J. Arthur Rank Avenue. Rendering/Pace Lynch. Pinewood Forest on Feb. 7 announced a project being developed by Peachtree City-based Pace Lynch Corporation for a 52,824 sq. ft. creative, collaborative office and retail space. With groundbreaking planned for March, the building will be located at the center of J. Arthur Rank Avenue near the Piedmont Wellness Center, and overlooking the heart of Pinewood Forest within short walking distance of both its residences and adjacent Pinewood Atlanta Studios facilities, said Pace Lynch Principal Jason Pace. The building is expected to open in January 2020. Pace said the structure will include street-level restaurant and retail space, three levels of creative loft and medical office space as well as an activated 2,500 sq. ft. rooftop with restaurant and bar overlooking the Grove and Central Plaza below. The facade will feature locally sourced mid-1800s brick reclaimed from the Langdale Mill in Valley, Alabama, Pace said. Wakefield Beasley and Associates designed the office building, complete with 10-foot-high floor to finished ceiling windows and concrete floors. Loft office and retail areas will feature 14- and 20-foot ceilings, respectively. 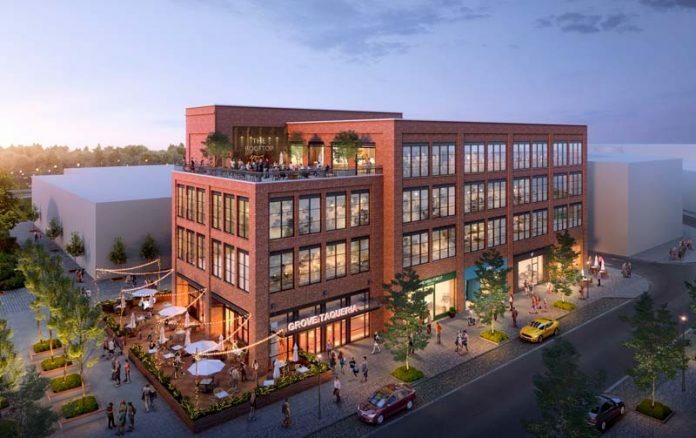 “The unique look of this building, with reclaimed brick, black metal trim and soaring ceilings, will perfectly complement the informal vibe and distinct design of the Pinewood Forest community,” said Lamar Wakefield of Wakefield Beasley and Associates. “As we create a dynamic, walkable downtown for south Metro Atlanta with the best food, hotel and entertainment options in the market, this mixed-use office/retail/entertainment complex adds an exceptional option to the mix of professional workspace offered at adjacent Pinewood Atlanta Studios, nearby Piedmont Fayette Hospital and the extensive corporate community within minutes of Pinewood Forest,” added Bill Lynch, project director for Pinewood Forest and Principal of Pace Lynch Corporation. The new building will be situated in the 25-acre town center at Pinewood Forest, the 235-acre master planned residential and mixed-use urbanist community, adjacent to Pinewood Atlanta Studios on Veterans Parkway in Fayetteville. The building will be developed, leased and owned by Pace Lynch Corporation. Construction will be completed by Brasfield and Gorrie. Parker noted the recently announced Pinewood Forest additions that feature a food lineup that includes Pancake Social’s café and coffee house, Honeysuckle Gelato, Hop City, Barleygarden and Braise. The surrounding area in Pinewood Forest will also include a boutique and select service hotel, as well as the recently announced luxury movie theater by Spotlight Theaters and the 60,000-square-foot Piedmont Wellness Center. 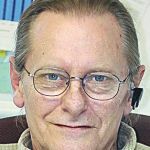 Previous articlePeachtree City Council members held illegal meeting?